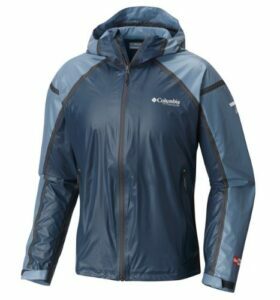 The Columbia OutDry Titanium mountaineering jacket for extreme mountain conditions came to the Irish market in February 2016. OutDry Extreme flips the waterproofing and breathable fabrics from inside out moving the jacket’s waterproof membrane to the outside (smart huh!). The single ply wicking material is next to the skin to keep you warm. While the secret to OutDry Extreme is in the chemistry, a thin diamond pattern layer strengthens the polyurethane and sits on top of the jackets membrane so the jacket is versatile and warm while staying waterproof. The movement in this jacket is pretty good even though my first expression was, “it looks stiff & noisy…”. The neck and face collar have excellent protection when zipped up all the way used with the hood. The hood has a good face pulley cord system giving it less movement in strong winds for that lovely snug feeling which you’ll need up on the windy/cold mountain . The bonus with the hood is that it is big enough to wear over a mountain bike or mountaineering helmet too! The jacket’s waist line also has a good pulley cord system keeping out the rain and wind. The jacket also has outside zipper waterproof pockets for your phone or money. The jacket has under arm zipped waterproof vents which are practical while moving fast and prevent over heating while running. It does take a little getting used to opening and closing them while running. I got lucky with the extreme weathers we have been having for the last while, helping me give this jacket a good test. And a beating it got! It stood by its name (Titanium OutDry ) while running around the Glendalough mountains in such powerful hailstones and rain, with wild winds up to 70mph taking me off my feet dropping me into the Wicklow bog holes . Despite all that, I must say this jacket held up well and kept me warm and dry 🙂 . Even though I was covered in mud from head to toe, the jacket’s tougher membrane made the mud slid off nicely in the rain. While other jackets can rip easily if caught on trees on falling onto rocks, this is a super strong jacket. I am happy to have such a tough membrane outer shell jacket making me less worried about its waterproof ability! So, over all I like this jacket and will give it 8/10 at affordable price of €150. It is a good deal from Great Outdoors and MSR runners get a 10% off with their cards (you can get your card through my runs). – The wrist has Velcro open / closers to make tighter keeping cold or rain out! – Super breathability fabric so no sweating in it. – Two-layer waterproof/breathable construction with waterproof membrane on the outside as it’s not like Gore-Tex but uses a polyurethane based membrane. – Two-way zipper underarm vents & two outside pockets. – Could be worn around city or for hiking. – Great in rainy & cold conditions. – Last of all…. No more repellent sprays that rub off after a while and then you need to re-spray it every few weeks after use! I get sick of doing such things when in need of the jacket ASAP! I am super happy to have found such all-rounder jacket for cold and wet adventures! 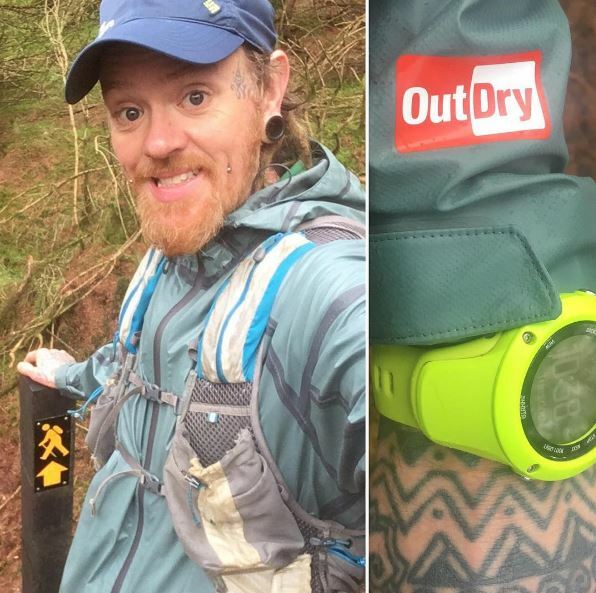 Thanks to JuJu Jay for his review of the Columbia Titanium Outdry Ex Gold Tech. Shop the Columbia Outdry Ex Gold Tech or the rest of the Columbia range or visit our shop on Chatham Street, Dublin 2.